Here’s the story of how scientists unlocked the secrets of the worst natural disaster in the history of the west African nation of Cameroon …and what they’re doing to try and stop it from happening again. On the morning of August 22, 1986, a man hopped onto his bicycle and began riding from Wum, a village in Cameroon, toward the village of Nyos. On the way he noticed an antelope lying dead next to the road. Why let it go to waste? The man tied the antelope onto his bicycle and continued on. A short distance later he noticed two dead rats, and further on, a dead dog and other dead animals. He wondered if they’d all been killed by a lightning strike—when lightning hits the ground it’s not unusual for animals nearby to be killed by the shock. Soon the man came upon a group of huts. He decided to see if anyone there knew what had happened to the animals. But as he walked up to the huts, he was stunned to see dead bodies strewn everywhere. He didn’t find a single person still alive—everyone in the huts was dead. The man threw down his bicycle and ran all the way back to Wum. By the time the man got back to the village, the first survivors of whatever it was that had struck Nyos and other nearby villages were already stumbling into Wum. Many told tales of hearing an explosion or a rumbling noise in the distance, then smelling strange smells and passing out for as long as 36 hours before waking up to discover that everyone around them was dead. Wum is in a remote part of Cameroon, so it took two days for a medical team to arrive in the area after local officials called the governor to report the strange occurrence. The doctors found a catastrophe far greater than they could have imagined: Overnight, something had killed nearly 1,800 people, plus more than 3,000 cattle and countless wild animals, birds, and insects—in short, every living creature for miles around. The official death toll was recorded as 1,746 people, but that was only an estimate, because the survivors had already begun to bury victims in mass graves, and many terrified survivors had fled corpse-filled villages and were hiding in the forest. Whatever it was that killed so many people seemed to have disappeared without a trace just as quickly as it had come. What could have caused so many deaths in such a short span of time? When word of the disaster reached the outside world, scientists from France (Cameroon is a former French colony), the United States, and other countries arrived to help the country’s own scientists figure out what had happened. The remains of the victims offered few clues. There was no evidence of bleeding, physical trauma, or disease, and no sign of exposure to radiation, chemical weapons, or poison gas. And there was no evidence of suffering or “death agony”: The victims apparently just blacked out, fell over, and died. 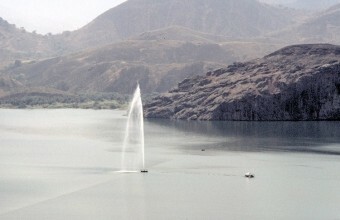 One of the first important clues was the distribution of the victims across the landscape: The deaths had all occurred within about 12 miles of Lake Nyos, which some local tribes called the “bad lake.” Legend had that that long ago, evil spirits had risen out of the lake and killed all the people living in a village at the water’s edge. Both the number of victims and the percentage of fatalities increased as the scientists got closer to the lake: In the outlying villages many people, especially those who had remained inside their homes, had survived, while in Nyos, which at less than two miles away was the closest village to the lake, only 6 of more than 800 villagers survived. But it was the lake itself that provided the biggest and strangest clue of all: its normally clear blue waters had turned a deep, murky red. The scientists began to wonder if there was more to the legend of the “bad lake” than anyone had realized. Lake Nyos is roughly one square mile in surface area and has a maximum depth of 690 feet. It’s what’s known as a “crater lake”—it formed when the crater of a long-extinct volcano filled with water. But was the volcano really extinct? Maybe an eruption was the culprit: Maybe the volcano beneath the lake had come back to life and in the process suddenly released enough poison gases to kill every living creature over a very wide area. The theory was compelling but problematic: An eruption capable of releasing enough poison gas to kill that many people over that wide an area would have been very violent and accompanied by plenty of seismic activity. None of the eyewitnesses had mentioned earthquakes, and when the scientists checked with a seismic recording station 140 miles away, it showed no evidence of unusual activity on the evening of August 21. This was backed up by the fact that even in the hardest-hit villages, goods were still piled high on shelves in homes where every member of the household been killed. And the scientists noticed another mysterious clue: The oil lamps in these homes had all been extinguished, even the ones still filled with plenty of oil. The scientists began to test water samples taken from various depths in the lake. The red on the surface turned out to be dissolved iron—normally found on the bottom of the lake, not the top. Somehow the sediment at the bottom had been stirred up and the iron brought to the surface, where it turned the color of rust after coming into contact with oxygen. The scientists also discovered unusually high levels of carbon dioxide (CO2) dissolved or “in solution” in the water. Samples from as shallow as 50 feet deep contained so much CO2 that when they were pulled to the surface, where the water pressure was lower, the dissolved CO2 came bubbling out of solution—just as if someone had unscrewed the cap on a bottle of soda. As the scientists took samples from deeper and deeper in Lake Nyos, the already high carbon dioxide (CO2) levels climbed steadily higher. At the 600 foot depth, the levels shot off the charts. Beyond that depth, the CO2 levels were so high that when the scientists tried to pull the samples to the surface, the containers burst from the pressure of all the gas that came out of solution. The scientists had to switch to pressurized containers to collect their samples, and when they did they were stunned to find that the water at the bottom of the lake contained five gallons of dissolved CO2 for every gallon of water. 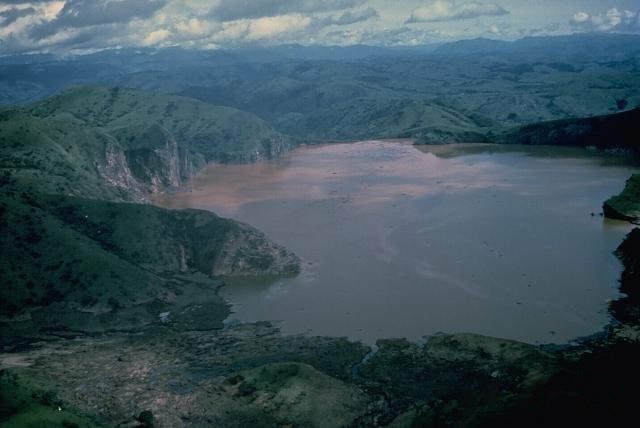 But what was unusual about Lake Nyos wasn’t that there was CO2 in the lake; that happens in lakes all over the world. What was unusual was that the CO2 had apparently never left—instead of bubbling to the surface and dissipating into the air, the CO2 was accumulating at the bottom of the lake. In most lakes CO2 escapes because the water is continually circulating, thanks to a process known as convection: Rain, cold weather, or even just wind blowing across the surface of the lake can cause the topmost layer of water to cool, making it denser and therefore heavier than the warmer layers below. The cool water sinks to the bottom of the lake, displacing the warmer, CO2-rich water and pushing it high enough for the CO2 to come out of the solution, bubble to the surface, and escape into the air. That’s what usually happens, but the water at the bottom of Lake Nyos was so saturated with CO2 that it was clear that something was interfering with the convection process. As the scientists soon discovered, the waters of Lake Nyos are among the most still in the world: Tall hills surround the lake, blocking the wind and causing the lake to be unusually consistent in temperature from the surface to the bottom. And because Lake Nyos is in a tropical climate that remains hot year round, the water temperature doesn’t vary much from season to season, either. Lastly, because the lake is so deep, even when the surface is disturbed, very little of the agitation finds its way to the lake floor. The unusual stillness of the lake is what made it so deadly. There is a physical limit to how much CO2 water can absorb, even under the tremendous pressures that exist at the bottom of a 690-foot-deep lake. As the bottom layers become saturated, the CO2 is pushed up to where the water pressure is lower. The CO2 eventually rises to a level where the pressure is low enough for it to start coming out of solution. At this point any little disturbance—a landslide, stormy weather, or even high winds or just a cold snap—can cause the CO2 to begin bubbling to the surface. And when the bubbles start rising, they can cause a siphoning or “chimney” effect, triggering a chain reaction that in one giant upheaval can cause the lake to disgorge CO2 that has been accumulating in the lake for decades. CO2 is odorless, colorless, and non-toxic; your body produces it and you exhale some every time you breathe. Even the air you inhale consists of about 0.05% CO2. What makes it a killer in certain circumstances is the fact that it’s heavier than air: If enough escapes into the environment at once, it displaces the air on the ground. A mixture of as little as 10% CO2 in the air can be fatal; even 5% can smother a flame…which explained why the oil lamps went out. The scientists figured that if their theory was correct, there might be other instances of similar eruptions in the past. It didn’t take very long to find one, and they didn’t have to look very far, either: Two years earlier, on August 15, 1984, a loud boom was heard coming from Lake Monoun, a crater lake just 59 miles southeast of Lake Nyos. In the hours that followed, 37 people died mysteriously, including a group of 17 people who died while walking to work when they came to a low point in the road—just the place where CO2 would have settled after being released from the lake. The incident was small enough that it hadn’t attracted much attention from the outside world…until now. In the months following the disaster at Lake Nyos, the scientists continued to monitor the lake’s CO2 levels. When the levels began to increase again, they concluded that their theory was correct. Cattle herders graze their animals on the hills above Lake Nyos, and after the lake disgorged as much as 80% of its massive store of CO2 in one big burst, dead cattle were found as high as 300 feet above the lake, indicating that the suffocating cloud shot at least that high before settling back onto the surface. Then the gas poured over the crater’s edge into the valleys below, traveling at an estimated 45 miles per hour. For people living in the villages closest to the lake, death was almost inevitable. A few people on hillsides had the presence of mind to climb to higher ground; one man who saw his neighbors drop like flies jumped on his motorcycle and managed to keep ahead of the gas as he sped to safety. These were the lucky few. 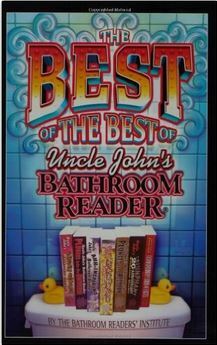 Most people didn’t realize the danger until they were being overcome by the gas. Even if they had, it would have been impossible to outrun such a fast-moving cloud. In villages farther away from the lake, people had a better chance of survival, especially if they ignored the noise the lake made as it disgorged its CO2. Some survivors said it sounded like a gunshot or an explosion; others described it as a rumble. But people who stepped outside their homes to see where the noise had come from, or to see what had caused the rotten egg smell (a common smell “hallucination” associated with CO2 poisoning) quickly collapsed and died right on their own doorsteps. The sight of these first victims passing out often brought other members of the household to the door, where they, too, were overcome…and killed. People who were inside with their windows and doors shut had a better chance of surviving. There were even cases where enough CO2 seeped into homes to smother people who were lying down asleep, but not enough to kill the people who were standing up and had their heads above the gas. Some of these survivors did not even realize anything unusual had happened until they checked on their sleeping loved ones and discovered they were dead. 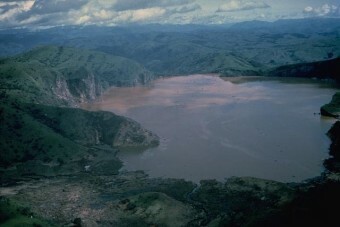 The disaster at Lake Nyos was only the second such incident in recorded history—the 1984 incident at Lake Monoun was the first. To date, scientists believe that only three lakes in the entire world, Nyos, Monoun, and a third lake called Lake Kivu on the border of Congo and Rwanda, accumulate deadly amounts of dissolved CO2 at great depths. It had taken about a year to figure out what had happened at Nyos. Then, when it became clear that the lake was filling with CO2 again, the government of Cameroon evacuated all the villages within 18 miles of the lake and razed them to prevent their inhabitants from coming back until the lake could be made safe. Scientists spent the next decade trying to figure out a way to safely release the gas before disaster struck again. They eventually settled on a plan to sink a 5 ½-inch diameter tube down more than 600 feet, to just above the floor of the lake. Then, when some of the water from the bottom was pumped up to the top of the tube, it would rise high enough in the tube for the CO2 to come out of solution and form bubbles, which would cause it to shoot out the top of the tube, blasting water and gas more than 150 feet into the sky. Once it got started, the siphon effect would cause the reaction to continue indefinitely, or at least until the CO2 ran out. A prototype was installed and tested in 1995, and after it proved to be safe, a permanent tube was installed in 2001. As of the fall of 2006 the tube was still in place and releasing more than 700 million cubic feet of CO2 into the air each year. That’s a little bit more than enters the lake in the same amount of time. Between 2001 and 2006, the CO2 levels in Lake Nyos dropped 13%. But the scientists who study the lake are concerned that 13% is too small an amount. The lake still contains more CO2 than was released in the 1986 disaster, and as if that’s not bad enough, a natural dam on the north side of the lake is eroding and could fail in as little as five years. If the dam collapses, the disaster of 1986 may prove to be just a small taste of things to come: In the event of a dam failure, 50 million cubic meters of water could pour out of the lake, drowning as many as 10,000 people as it washes through the valleys below. That’s only the beginning—releasing that much water from the lake would cause the level of the lake to drop as much as 130 feet, removing the water pressure that keeps the CO2 at the bottom of the lake and causing a release of gas even more catastrophic than the devastation of 1986. Well, that was really fascinating. Amazing that I’ve never heard of that disaster before. So, America produces about 5,000 metric tons of CO2 a year. This crater lake produces 700 metric tons. There are dozens, if not hundreds of crater lakes in America. And we cause global warming? Except this story makes it clear this lake is a special case. Obviously reading is a lot harder than pushing an ignorant view point.